I thought it might be a good idea to not only introduce my new blog but also myself as I’m new to Cheshire. Having spent 10 years in South Wales designing gardens, my wife and I fancied a change of scenery and took it upon ourselves to sell our home and buy a house in Knutsford after falling in love with the area during our quest to find somewhere new to live. Having done my research I noticed there’s a fair few garden designers to choose from in Cheshire so I thought to myself, ‘how am I going to stand out’? Which leads me nicely to introducing my blog. Ok, so it’s a bit of a gimmick to get me up the rankings on google so don’t be surprised if you see me dropping in ‘Cheshire garden designer’ here and there. My blog is also an opportunity to explain a little about who I am and what my design philosophy is. When I looked into local landscape designers I felt that my portfolio had something else to offer. So what’s my style? I’ll always design a garden that the client requests so if you say Japanese garden, that’s what you’ll get. As with any creative there’s always going to be a slice of the designer within their creation. Over the years my portfolio has slowly been looking more and more like my kind of garden. 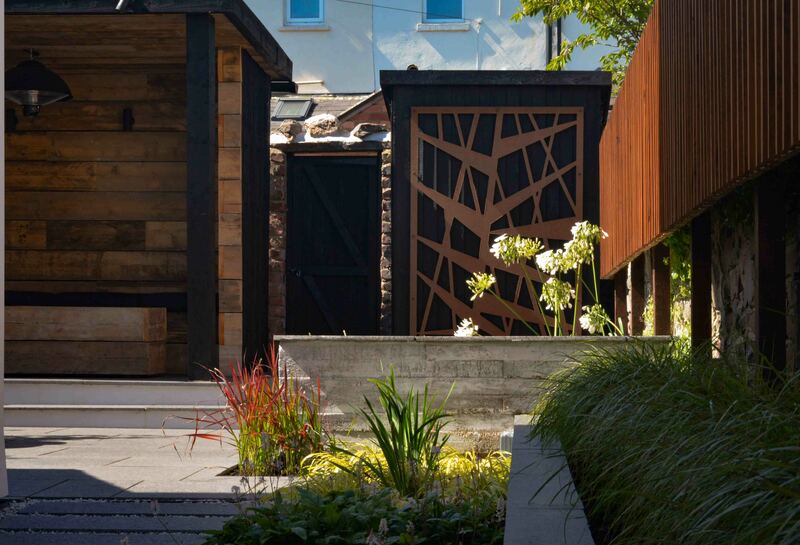 I’m always drawn to more contemporary gardens with strong formal lines and that is often visible in my designs. I love minimalism but I love bold statements and textures too so contrasts are something I work with a lot. Ever since I was a young, budding art student I’ve loved modern architecture. The more I am able to express my style in my designs the more evidential that becomes, as with the natural landscape being a keen hiker and traveller. So if I have free reign over a garden design you’ll see wild elements of textured planting with stark architectural contrasts, natural materials next to the more contemporary and even industrial. With that in mind I’m very much a ‘less is more’ kind of person so I don’t over complicate my designs, and on that note I shall not overcomplicate my first blog. As I develop my blog and as I develop as a garden designer I shall be sharing my thoughts and philosophies as well as anything I might learn along the way, or if there’s something useful I might share that with you too.